As one goes about learning to draw, one realises at some point the importance of drawing from reference, or even copying. The urge to draw typically comes from observing great art. Whether it is story illustration, comic art, animation, or the academic, each one of us get inspired by specific art to begin with. 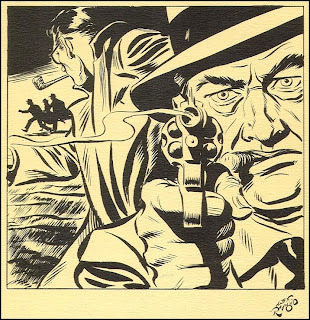 It can be Michelangelo's realistic figures, Herge's simplicity and elegance, Alex Raymond's magical drama with lines, Leonard Starr's cinematic panels, an so on. But these specific individual artists and their art serves as the motive for us to learn to draw. Learning to draw consists of learning the elements of drawing. One has to know how to use the two dimensional medium to represent the real world, and create a believability with the tools of the medium. Leaning to use the elements such as the gesture, line, tone, principles of perspective, composition, etc are mastered in an attempt to create realism. We learn how to begin a drawing, how to develop it, and how to complete or render it to the detail desired. But learning to write is more than learning the alphabets and words. A rich vocabulary and strong grammar is necessary, but not sufficient. This is when one starts to read! Similarly as an artist, after learning the foundations of drawing, and learning a medium or two, such as the pen and ink, or watercolor , one needs to "study" the masters. Choose a select band of masters of interest, and copy the art. This will hone the skills all around. Use of line, composition, drama, action, expression, style, all of these can be improved by trying to replicate the masters to the dot. A combination of generating original art, and copying and analysing the masters, will accelerate the development as an artist. While copying art, one has to analyse it for the principles and elements of art and learn from it. Copying masters is not only an aid to improvement, but is such as rewarding activity, since the great amount of learning and the genius can be appreciated at a greater detail than when simply observing it. Great artists always used models for their work, and used heavy reference material. Copying the Masters is a compulsory part of any serious art curriculum. One can learn about this from the artists of the renaissance, to the masters of the times, such as Herge, whose reference material teaches us the relevance of it. So does Alex Raymond, Milton Caniff and others who used models for their work. 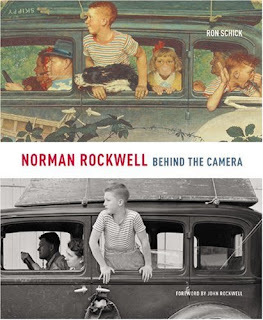 A recent book on Norman Rockwell tells us how he created his illustrations, by creating the scene completely in reality using models, posing them and photographing them and using it as a reference! So, while in the journey of learning to draw, if one hits a plateau, its time to go out and sketch from life, or pick up the favourite artist and simply copy! I am also a superfan of The Phantom! Just read your review of the dailies recently released to by purchased from Amazon. I wanted to ask you something regarding the first volume of the series, is it all in colours or b/w? Sorry for the silly question but I thought that you may know the answer. Thanks in advance! The stories are all in black and white. They are the dailies, and originally appeared in black and white in newspapers. The Sundays which form a different set of stories came out originally in color. So when Hermes attempt to print the Sunday stories I believe it will be in color. Thanks a lot Ganapathy! I will order my copy of the dailies rigth away... hopefully also the sundays will come to light soon. See you around.